Let’s say you’re running Windows 7 on a computer connected to a local network. There is a shared printer running on a different machine on the network. The drivers for the printer are installed on the remote machine, and the printer is shared. Windows cannot connect to the printer. Operation could not be completed (error 0x0000007e). There is a common solution you can find on the web involving creating a new local port and inserting the network path to the remote printer, but you may find that doesn’t work either! The solution to your problem is very simple, and is even available as a Hotfix from Microsoft. You don’t really even need the hotfix, though. Here’s how you “fix the glitch”. When the printer was added to the server, the driver created a registry to copy this file which in not neccessary since the client already has the file. 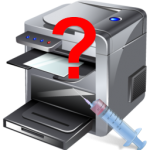 During the connection process, the driver resets the path from \windows\system32 to the print drivers directory \windows\system32\spool\drivers\x64\3 (or w32x86\3) but never sets it back to default and the spooler process does not reset it either and looks for the color module mscms.dll in the drivers directory. Is the module value \windows\system32\mscms.dll or just mscms.dll? I think if you copy the mscms file to the drivers directory on the client you can workaround this issue. You could also remove the data from the Module value and verify creating the connection succeeds and printing is as expected. It turns out this hotfix will be included in Windows 7 SP1!! Apparently Microsoft didn’t think it was important enough to test the fix thoroughly and release it early – despite the huge number of people having this problem if my search results are any indication. Now try to connect to the remote printer again. This time, it will work! This error does not appear to depend on the type of printer you have, or what driver you use. On 10 computers, I saw the problem 5 times. It seems to be a toss-up as to whether it will happen or not. Hopefully now you won’t have to spend 4 hours looking for the solution like I did! If all else fails, you can always treat yourself to a new printer! ← Hits, Unique Vists, and Page Views: Which is best? I had the same problem on a client workstation, but it turned out the C:\ drive on the workstation was out of space. I cleaned it up and reinstalled the shared printer and no more issues. Thanks this works for me !!! Thanks… this works for me ! Never had any issues until Windows 2008 R2 update last Saturday night. Windows 2008 R2 server and over 100 users with windows 7×64. Applied this fix, still doesn’t work. I have no idea if this fix would work in an environment where Win 2008 R2 is involved. For local network printers (like a home or home office setup without a server), it usually does the trick. Thank! It fantastic for me, Work done! I have win 7 64 bit on my machine and the printer (canon imageclass D860 laser) is on my networked machine which is running win 7 32 bit. Would I use the above parameters to get it printing from my machine? I would give it a whirl and see what happens. But you might need to go onto the 32-bit print server and add the 64-bit driver for that printer.